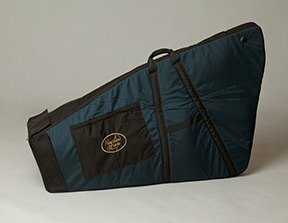 Harp cases, strings, tuners, and more. Included with the purchase of each Heartland carbon fiber harp is a custom, fully-padded, two-part carrying case that we now make in-house. We get rave reviews on our cases from customers and others at the harp conferences. For a more detailed description of our cases and how they work check out our Cases page. An ergonomic tuning wrench is also included with all harp orders. If you have nylon strings on your harp, you’ll need to change the strings every year and a half to two years. Also, very occasionally, a string will break. It’s nice to have a spare string to put on immediately, and since your strings don’t age in the bag, when you’re ready to replace your strings, just order another spare set, and put your spare on your harp. We’re happy to provide spare string sets with new orders – if you already own your Heartland Harp, call Vermont Strings to re-order at 802-244-8564. If you have fluorocarbon strings, you can still get spares or sets from Vermont Strings, but you’ll only need to change the nylon top register and the wires in the bass every two years or so. Joan at Vermont Strings can provide you with partial sets to take care of this, as well. Gut strings should be changed every year or so, and can be ordered through Heartland. We also have both string charts and string changing directions on our website for all current Heartland models. We offer the Korg CA-40 tuner, which works well with our carbon fiber harps. It also comes with a small clip pickup, so you can tune your harp even in a noisy room. Each string will be registered, along with an indication of how ‘in tune’ it is. 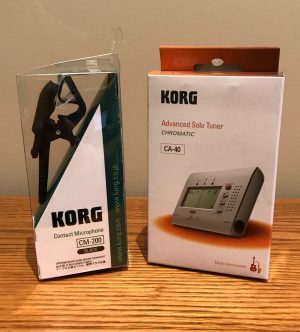 Simply turn the tuning pin, using your tuning wrench, until the Korg CA-40 tuner indicates that your harp is in tune. We can install a Fishman single-transducer pickup in your harp that will enable you to plug your harp into most amplifiers or amplification systems without using a microphone. Being amplified couldn’t be easier! 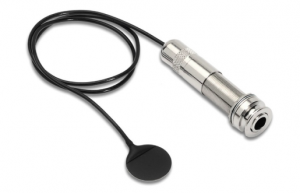 We used to offer multi-transducer pickup systems, but we’ve found that the single transducer gives a clearer, cleaner output when paired with the carbon fiber, and it’s less expensive, too! We believe it has to do with how hard and dense the carbon fiber is, so the sound generated in one part of the harp travels through the whole harp, and the single transducer gets less confused.